Embrace fall colours in the Allegra Dress in Autumn Rose featuring a black base with splashes of tangerine and vanilla floral. 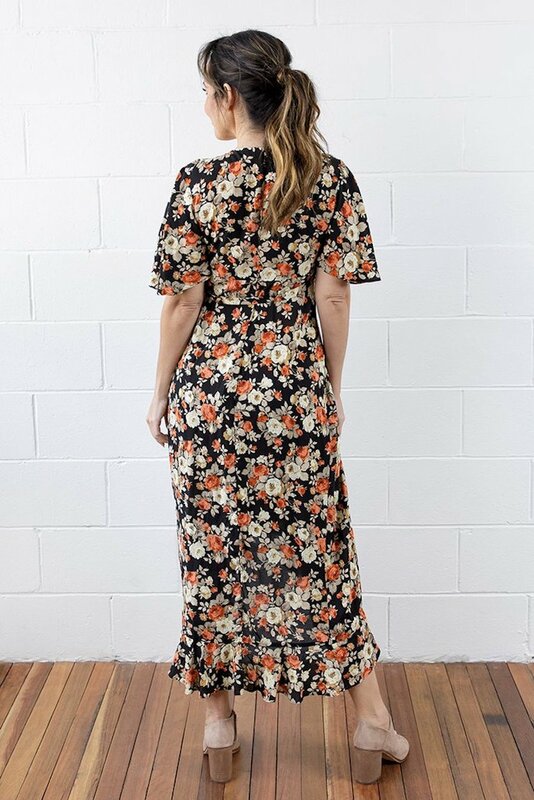 This style features our romantic flutter sleeves and is a full length wrap dress that can be worn whether you're pregnant or not. Style up with black accessories for special occasions or down with flats or boots for casual weekend wear.